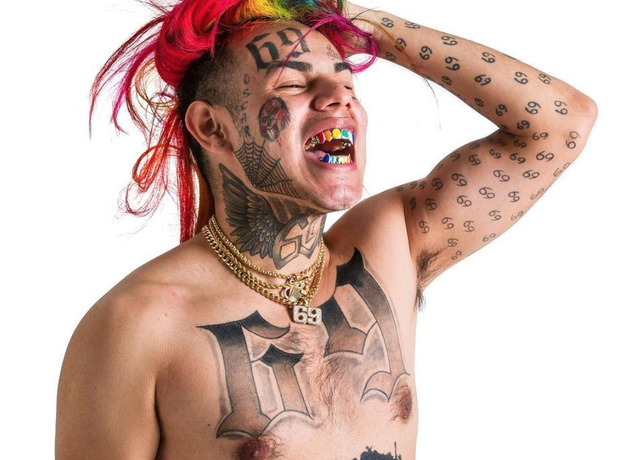 6ix9ine is covered in tattoos! 16. 6ix9ine is covered in tattoos! Despite his young age, the rapper has already covered most of his body is tattoos. The number 69 is prevalent, which is the name of his gang.